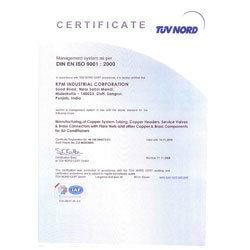 An ISO 9001:2000 and ISO 14001:2004 certified company from TUV Germany, K.P.M. Group stresses upon quality assurance rather than control and consistently works towards implementing it in the process. 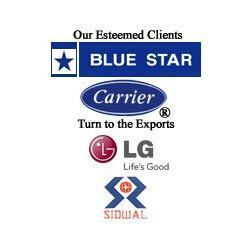 Our team of QA personnel ensure that products being manufactured in house or at the vendors is correct the first time every-time. Further the inspection system is controlled with the help of precision drawings as well as equipments like go/no-go gauges and vernier caliper for assuring correct dimension accuracy. These and other innovative production measures allow us to produce the range with accurate dimensions. 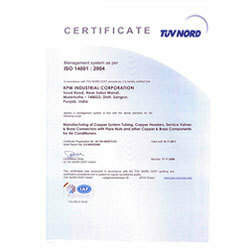 Further strict control at each of the manufacturing stages also assures customers of high consistently standard, which has helped us to also earn "Preferred Supplier" status.